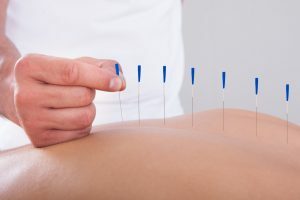 This powerful method is currently revolutionizing the way patients deal with Musculoskeletal Conditions.If you're looking for acupuncture Wilmington NC, please don't hesitate to contact us if you have questions about whether or not modern acupuncture could work for your musculoskeletal condition. Acupuncture is an ancient form of healing that is finding wider application in today's health care arena, especially in the management of acute and/or chronic pain syndromes, sciatica, headaches, and arthritic conditions. Very thin (Filiform) needles are are gently inserted at specific points on the skin to alter or eliminate the brain's perception of pain, relieving symptoms and assisting the body to heal itself. Acupuncture can be used in conjunction with your doctor's treatment plan or as a stand alone therapy.